There are no reviews for Of Magic Illusions yet. You can write one. Track 9 originally appeared on Rapture's Songs for the Withering. Anton Dead (#invalid artist link ID#) is listed in the line-up but not credited for playing bass on this record. 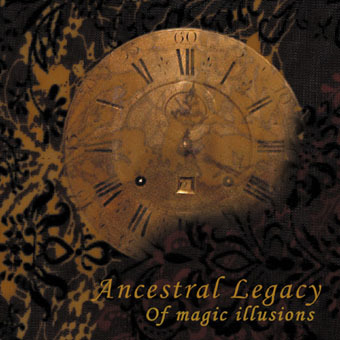 Tracks 1-9 recorded in 2003 by Ancestral Legacy. Tracks 10-12 taken from Emptiness, recorded and mixed February-March 2002.